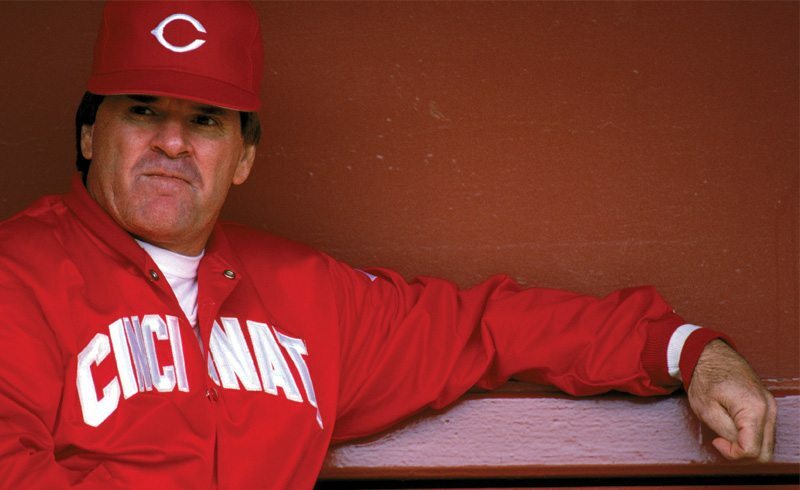 The upcoming 2016 season will be special for Rose being he will be inducted into the Reds Hall of Fame. As part of their Hall of Fame weekend June 24-26, the Reds will also retire Rose’s No. 14, hold a 40-year reunion of the 1976 world champion Reds and have a banquet where Rose will receive the red sports coat Hall members wear. We designed a homage to Pete Rose, our 4,256 shirt, honoring his MLB hit record with a rose as a comma. In honor of Pete being inducted into the Reads Hall of Fame, we our putting the shirt on sale for half the price – $10. We’re also putting our Pete Rose sketch by famed artist Jason Koza on sale as well. Quantity are limited, so please don’t hesitate to grab yourself one, or even two shirts and prints before they are gone.